All Chireno homes currently listed for sale in Chireno as of 04/21/2019 are shown below. You can change the search criteria at any time by pressing the 'Change Search' button below. If you have any questions or you would like more information about any Chireno homes for sale or other Chireno real estate, please contact us and one of our knowledgeable Chireno REALTORS® would be pleased to assist you. 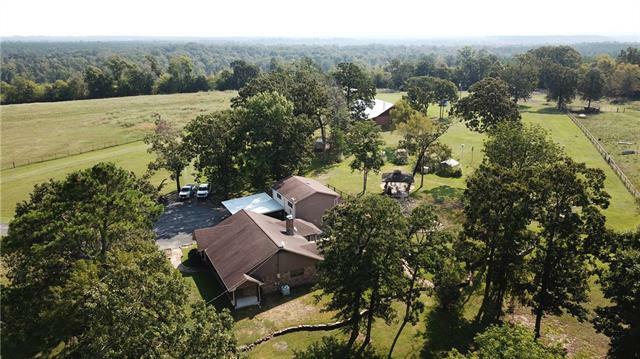 "Your own private retreat-beautiful recreational ranch in SE Nacogdoches County. Nestled on 116+ scenic acres are 2 move-in ready homes, guest quarters & barn. Total of 4937 SF includes the main house at 2789 SF, office-mud room-guest quarters at 720 SF & Satterwhite log home at 1428 SF. The main house updated 2006 & log home built in 2016. See Media for details on each home. Enjoy the large outdoor living area with commercial-grade grill, flagstone deck, fire pit, & gazebo. Beautiful rolling hil"